Here comes ICC Cricket World Cup 2015 Patch exclusively made for EA SPORTS Cricket 07 by A2 Studios. Ultimate Cricket Word Cup 2015 fun with real teams, kits, realistic looking stadiums and players, overlays, logos and much much more. It definitely will bring you the best gaming experience till date. No other patch can beat A2 Studios in this business! So what are you waiting for? Just Download the patch from the Links given below. ICC World Cup 2015 Patch previews are attached. There is definitely much more in it what previews reveal! Mouth Watering Stuff, Isn’t it? Just go for it – download the A2 Studios ICC Cricket World 2015 Patch! 4. 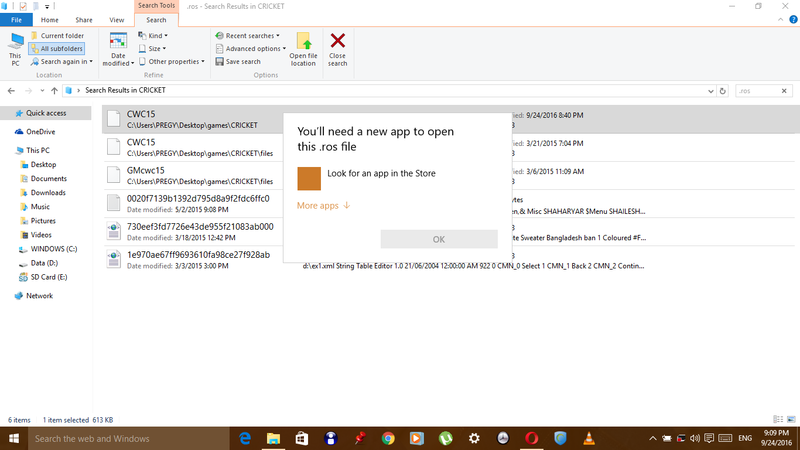 Copy “CWC15.ros” Folder & Paste in “EA SPORTS(TM) Cricket 07″ located in My Documents. You have to download each and every file below to avoid getting any kind of async. errors and make sure you follow the instructions above before complaining about any kind of errors! You are always welcomed to drop your views in comments below! Ayush please tell me why Christ Church ground show black screen? If we download a patch of ground then where it will paste?? hey ayush i have 2015 world cup roster for my ea sports game… in dat if i play multiplayer india vs pakistan match then the game stops working after some 15 overs… can u plz give any suggestion for it to work properly? A2 Studios ICC Cricket World Cup 2015 Patch full but its not working properly .. Same problem of jaspreet singh plaese help me………………………………………………………………..
After the 1st match in the CWC15 Tournament , I couldnt continue to play…! The game closes automatically…still , I have installed corectly..PlZ hElp. How to uninstall this mod ? I m having serious difficulty ! Help ! After installing this mod, the score board is not visible.! Help ! Bowling mark not visible an unable to change the field while fielding…..
How to load .ros file. A BLANK SCREEN COMES AT START THEN NOTHING HAPPENS PLS HELP! how to solve this issue help out !! reinstall the file….all file should be install like patch version 1 , 2 and also bat pack..
Hi Ayush score card is not visible in this patch what should i do to make it visible? I didn’t download the update,is it fixed in the patch update? field editor is not working…fixed it..
Hi ayush I installed the patch but i can not understand what to do next.